Part of why I wanted to move to KSA was so that I could have many new experiences. New culture, new people, new language, new food: so, it makes it that much more ironic that the best food I have found here is actually available back home. 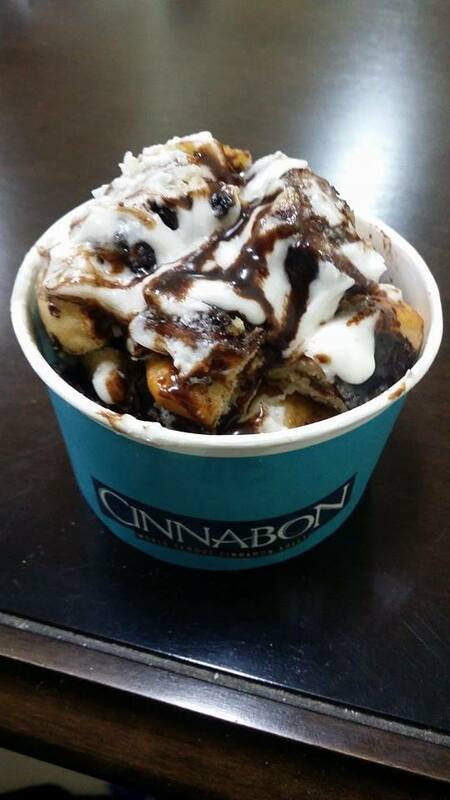 I finally am forced to face the realization that I am addicted to Cinnabon. It seems that everywhere I turn here there is a beautiful Cinnabon store beckoning me with it’s lustful spirals of cinnamon chocolate goodness. I know I say it in every post, but I am going to get SO fat here! I mean, can you *really* blame me?